He says he will fight for the found valuables if they are his. Former Ukrainian Prime Minister Mykola Azarov has said he cannot confirm or deny ownership of valuable belongings which the police found in a Kyiv flat and said it belonged to the fugitive ex-official. The photo was not enough for him to make a conclusion, he said on Facebook. "I do not consider myself guilty and I am not going to make any excuses. I did not steal a thing from anyone. Not a single court has found me guilty of any crime. Even the Kyiv regime has failed to come up with something against me over three years," he said. "So based on what law did they confiscate belongings, which could or could not be mine, from an apartment which I do not own? I have no reason to give up on the personal belongings which I duly own, and I will take to court to return them. But now, after seeing photos, I cannot confirm or deny ownership of all these things which were shown," he added. 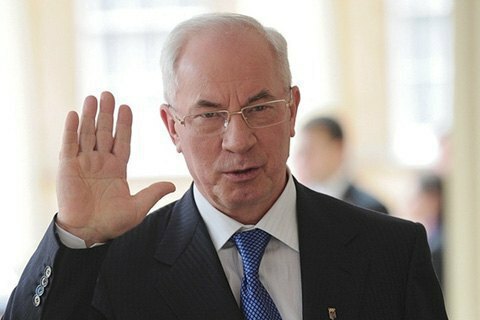 As reported earlier, the police said on 8 December 2016 that they found a flat with Azarov's personal belongings in Kiev's Darnytskyy district. There were icons and religious books dating back to the 19th century, original paintings by Ilya Repin, Vasiliy Tropinin and Nikas Safronov, silverware, coins, a pistol with a personal label, a Cossack sabre, awards and congratulatory letters from Russia. According to the police, the total value of the found stash exceeds 5m dollars.